From Game of Thrones, to Outlander.. and now I’m delving into another super-interesting era and world. The world of the Musketeers! And not just the BBC Musketeers or the book or the movies, but the real Musketeers. Ok, ok: and of course the BBC series ;). Who are we kidding. Be aware of some BBC Musketeer spoilers! Simplicity Outlander Patterns are out! Lets start May blogposts right off the bat! I wouldn’t dare to display her amazing drawings on my blogpost, so go check that article of her out here: http://americanduchess.blogspot.com/2016/04/introducing-new-simplicity-outlander.html. Outlander Simplicity pattern hack series by American Duchess. Support her, she seems awesome. It just makes me so happy seeing all these creations come to life because of Outlander. The power of people! I am literally so excited to share this tutorial with you – since this is a struggle so “easily” solved! I loved the process a lot, it doesn’t take a lot of time, doesn’t hurt any animals, doesn’t cost too much money and the result is just amazing. Let’s celebrate easter with a new tutorial! Make your own Jon Snow fur, viking fur, a rug or even a fashionable shawl within one day. On the internet, a few things became very clear about Jon Snow costumes and cosplays. Most of the time, the costumes are absolutely amazing and beautifully tailored, – You can hear it coming – But.. A lot of people tend to get stuck on the fur-part. Mostly because real fur is too expensive or because the fake fur is not realistic and big, fluffy and imposing enough. 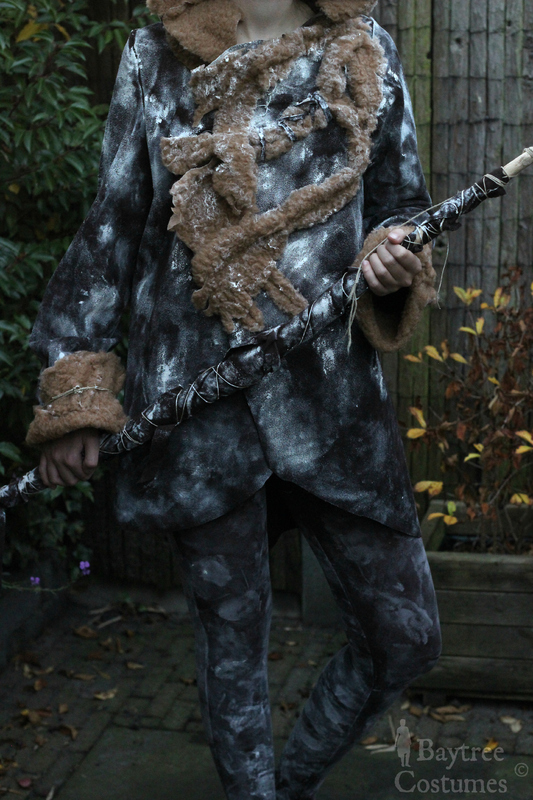 I made my Jon Snow costume alongside my Ygritte costume which tutorial you can find here, which is some time ago now. As you can see from the title, this is not going to be a full Jon Snow tutorial – yet. Ygritte’s costume was a big project, but oh boy, Jon Snow’s was even bigger! It is a very “mathematical” and precise project, and even though my work is half done, it is still not near as close as I want it to be. Alongside that is the fact that season 6 is already on the doorstep (april!) 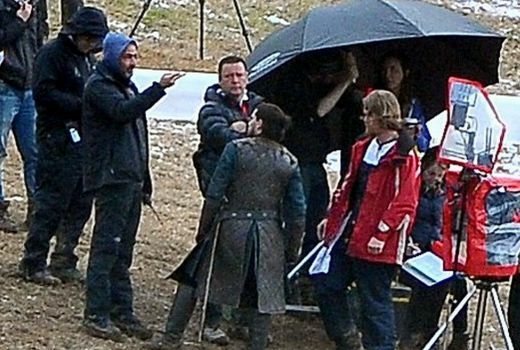 and from photos, we can see that Jon’s costumes will dramatically change next season. I’ll have to see whether the hype around Jon’s older costume is going to change, because if it does, I might not finish the costume.. It has been a while since I posted my “How to make an Outlander costume – Part 1” article. It covered all the basics of Great Kilt folding and Arisaid folding, and it was just so much fun to make, to fold and to write. But here’s the catch: I never really finished the section of Kilt Types! The slightly irritating “will soon be updated” marred the decor that the Great Kilts flair had created. Soon became months quite quickly.. But hey – yes yes – it has been updated at last! Quickly visit the article and find out what new Kilt and Arisaid types have arrived in Baytree land. Perhaps too late for Halloween this year, but certainly not less inspirational! Let’s celebrate creativity with this new tutorial. This time we’ll discover the costuming world of Game of Thrones. After a long period of trying to keep this exciting project silent (just to give myself a little less stress), I can now finally come with all the details. And they are plenty! If you have been following my blog, you know that I am always inspired by a variation of TV series and films. From period drama to fantasy, the cinematic scenery and images always speak to my imagination and from there to creativity. I have been working very hard on two amazing pieces from the enormous TV series Game of Thrones. I wanted to make a twin piece, and what immediately came to mind: Ygritte and Jon! (Pre season 6: Have you seen this picture already?). 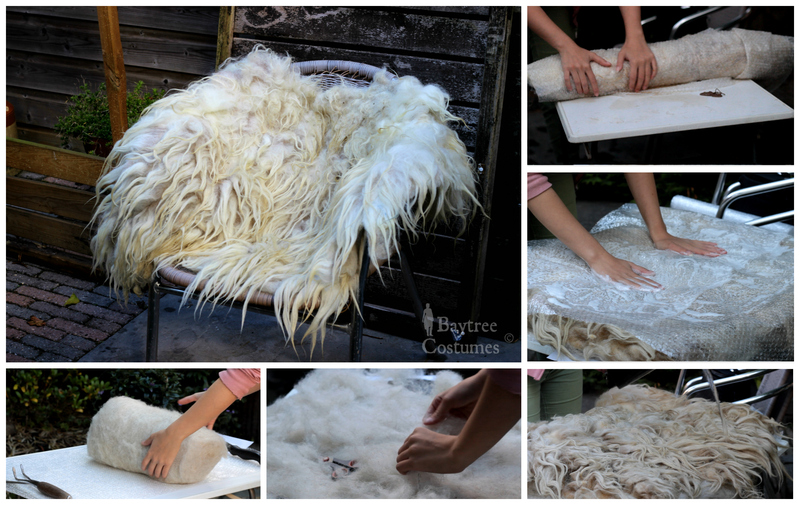 Click here to see my article on how to make Jon Snow’s fur, ecologically! And click here to see my Youtube video on this costume! I like that guy on the right haha! The process was long and hard, as always, but again very insightful and the new fabrics and techniques were so exciting. I always enjoy learning something new (said the proud autodidact).